All students have been offered a vaccination to protect against the virus at Glasgow University. Fifteen students at a university have been struck down by the mumps virus forcing a mass vaccination. The sick students have been advised to stay away from halls of residences until they are well. Students are being asked to check whether they have had the vaccination as a child and contact the university medical centre if not. 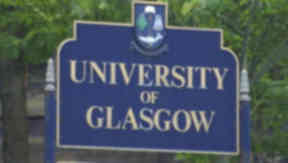 NHS Greater Glasgow and Clyde (NHSGGC) are working closely with the university to offer the vaccination to students. A spokesperson for the University of Glasgow said: "Around 15 of our students have been diagnosed as having mumps and they have been advised to stay at home and rest while the virus runs its course. "Where students stay in halls of residence we have asked if they can stay at an alternative address if possible. "We have notified and are liaising with public health authorities and advised all of our students of the presence of some cases of mumps. "We have advised students to contact their GP to check their immunisation status and are offering free inoculations at the Barclay Medical Centre within the university to students who believe they did not already receive it as a child. "We are closely monitoring the situation and offering our support to affected students who are all exhibiting mild symptoms and to whom we wish a speedy recovery." Kirsty Hill, President of the Queen Margaret Union, said: "People are watching out for symptoms, but we are not overly concerned." Mumps is spread through saliva or droplets from the nose and throat of an infected person. It can infect many parts of the body, especially the parotid salivary glands. The glands typically swell and become painful and sufferers are likely to experience a temperature, headache and loss of appetite along with swelling. Dr Syed Ahmed, Consultant in Public Health Medicine, NHSGGC, said: "We are liaising with the University medical adviser to ensure that the students are offered the appropriate immunisation with information and advice available for staff and students. "None of the students affected are giving any cause for concern as a result of contracting the mumps." The outbreak comes just weeks after secondary schoolchildren in Glasgow were offered the MMR vaccine amid fears that measles outbreaks across Europe could spread to Scotland. Uptake of the triple measles, mumps and rubella vaccine dropped after a paper in The Lancet in 1998 suggested a possible link with autism. The claim has since been discredited by further medical research and the author of the report, Andrew Wakefield, was struck off the medical register after the General Medical Council found him guilty of serious professional misconduct. Cases of measles have been rising in several western European countries in recent years, causing concern that the disease may spread further.